Sending flowers to the bereaved is a long-standing tradition for many countries. It is to be expected that people want to send flowers to honor the life of someone. However, this tradition may not feel appropriate to some of us, or the family of the deceased may have requested no flowers and you may want to honor your loved one in a different way. Whatever the reason, many people are now opting for more unique options than simply sending flowers. Here are a few sympathy gifts that will help you let the family know you are thinking of them through this difficult time. A donation to their favorite charity. This is a great option that seems to be gaining a lot of momentum in the funeral industry. Many families are deciding that they do not want flowers and prefer that you send donations in the name of the deceased to a certain charitable organization. Even if the family does not request this, it is a great option to choose. You can always let them know that you decided to donate to a charity that was special to the deceased in their name, and it should mean a lot to everyone involved. It also helps the deceased make an impact even after death for a cause they love. A potted plant. Many people see the flowers after the funeral wilt and die, and then have to eventually be thrown in the trash. These actions for some may draw too much of a resemblance to their loved one’s death, or they may see this as the final ending to their loved one’s funeral and realize that their loved one is truly gone for good now. However, if you opt for a potted plant, it will bloom and grow. You can use them to brighten up a room or bring beauty to your garden. You will get to see these plants grow and flourish instead of wilting and dying. A teddy bear or other stuffed animal. A stuffed animal may bring a little bit of comfort to those in the grieving process. You could choose a stuffed animal that was the favorite of the deceased, or you could even personalize it. You may want to have the favorite team or color of the deceased on it, or you may want to embroider their name on it. Anything that would remind the family of their loved one would be perfect. It may even give them that one little piece of their loved one to hold on to. You never know how much something so simple could mean to someone going through such an emotional time. A candle. Candles may last only a little bit longer than flowers, but they are still a good choice for a sympathy gift. They are traditionally associated with mourning, and many people light candles to remember and honor their loved ones. You can find different candles and candle sets to choose from. There are many made specifically for those in mourning. They may feature inspirational or thoughtful inscriptions on them or be in the shapes of a star, angel or dove. You may also want to choose a candle that features a calming or relaxing scent, such as lavender or eucalyptus. 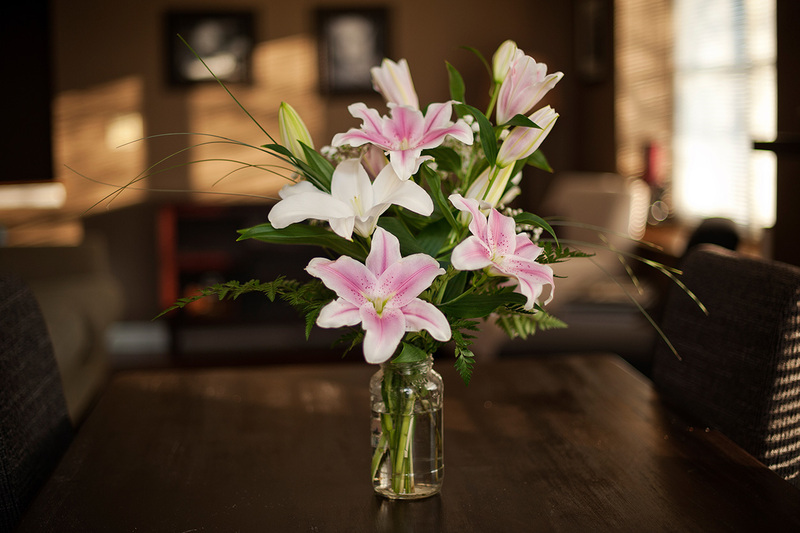 There are numerous ways to show your condolences to the family of the deceased, and while sending flowers to them may be the most common way to do so, it is not the only way. You may want to send some of the gifts listed above, or you may want to go out and pick something totally different. Remember you know the family and the deceased, and what they like and what will appropriately honor their loved one in the best way may only be known to you and them. If there happens to be something that you think personifies them, then this item may be the best option to choose. However, you need to remember your relationship with the family and try not to overstep any boundaries when purchasing a sympathy gift.